In the present paper, we propose to define the Shepard interpolation by using the geodesic distance. The geodesic distance between a pair of points is the length of the shortest geodesic line, and geodesic line is the generalization of straight line in the Euclidean geometry to general spaces, for instance 3D surfaces. When the shape of structure is non-convex, the geodesic distance is more reasonable than the Euclidean distance to define influence domain for interpolation points. In view of the fact that the length of a geodesic line can be considered as the time it takes to go with a certain velocity from one point to another, the fast marching method is used to compute the geodesic distance. 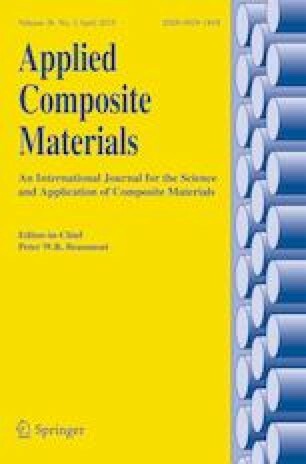 In the design optimization of fiber reinforced composite structures, the proposed Shepard interpolation based on geodesic distance is used to construct a continuous global function that represents the fiber angle arrangement. The design variables to be optimized are the angles at scattered design points. Several examples with in-plane load are investigated. In the simple representative numerical examples, the proposed method shows good performance. This research work is supported by the National Natural Science Foundation of China (Grant No. 51575203) and the Natural Science Foundation for Distinguished Young Scholars of Hubei province (Grant No. 2017CFA044).